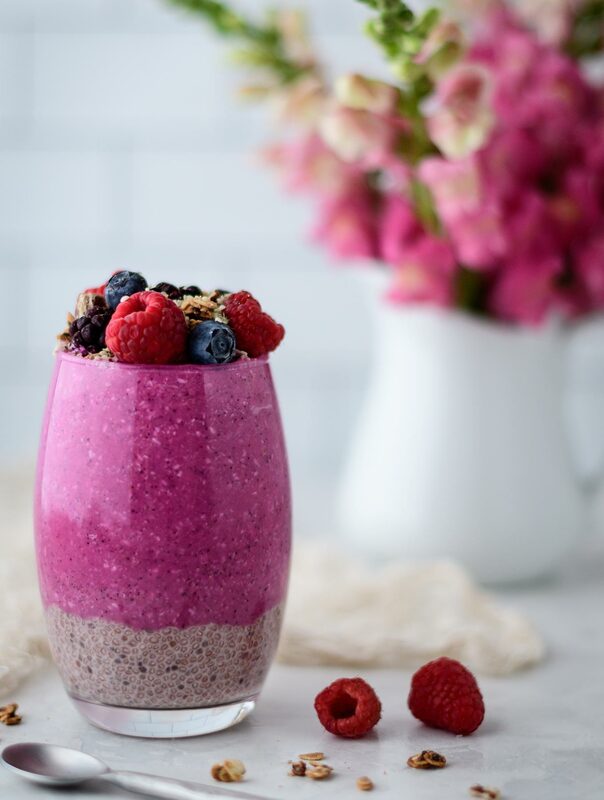 Brighten up your morning with this Dragon Fruit Chia Pudding Smoothie…So pretty and so delish! As I write this, it’s 3 degrees in MN with a “feels like -15 degrees” Brrrrr!! We are expecting temps to drop to a high of -16 degrees this week. That’s COLD real COLD!! At this point, you may be asking, why a smoothie this week? Well, first off, I need the color in my life and secondly, it tastes amazing. This smoothie is like a two in one. 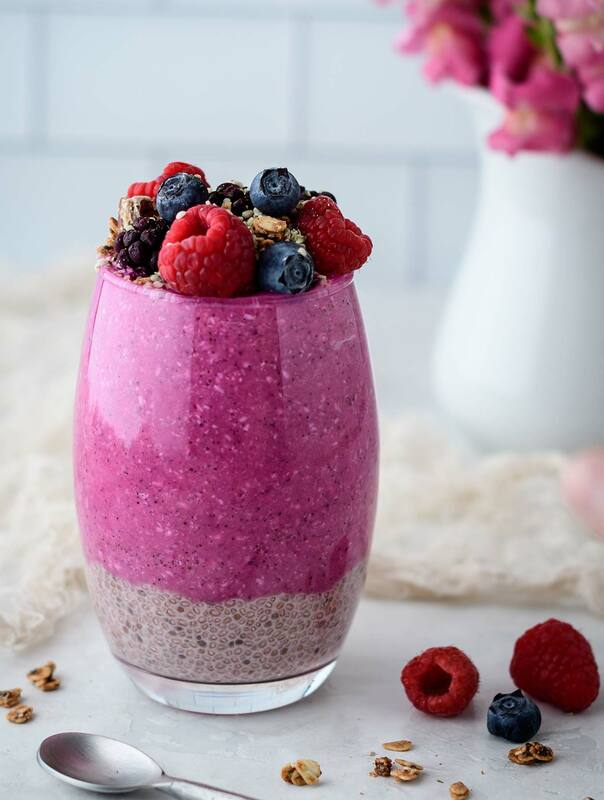 You get part smoothie and part chia pudding. What could be better than that? 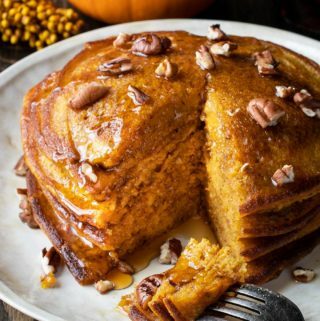 I don’t know about you, but I’m all about an easy breakfast. And when the breakfast options are healthy, delicious, and beautiful then that’s a win! This smoothie is all that and then some. First, let’s talk cha cha chia..I know, I couldn’t resist. I may be dating my self, but when I hear the word chia, I think of those ridiculous commercials from the 80’s with the chia pets. All kidding aside, for those of you not familiar with this power house ingredient, let me get you up to speed. The origin of chia is believed to come from Central America where they were a staple in the ancient Aztec diet. 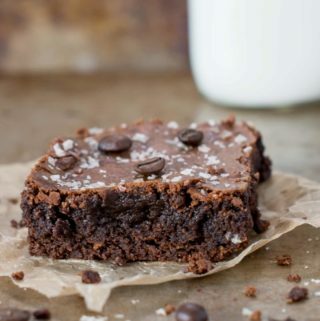 They have gained a lot of attention as a health food ingredient being packed with Omega-3’s. They are also an excellent source of fiber, and contain protein and minerals such as iron, calcium, magnesium and zinc. One of the coolest things about chia, is there ability to expand and hold about 10x their dry weight in liquid. When they absorb liquid, they become gelatinous. 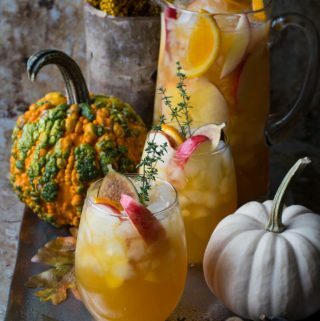 Don’t let that scare you, the texture is reminiscent of tapioca pudding. There are many ways to use these miraculous little seeds. Add them to pancakes, waffles, muffins, granola etc. Next the dragon fruit, also known as pitaya. This has become a pretty trendy ingredient at smoothie and juice bars to make what is known as a pitaya bowl. 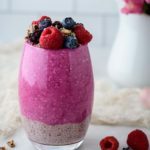 A pitaya bowl has a dragon fruit smoothie base with the toppings on top and served in a bowl. I don’t think you can get a brighter pink than this. You can find dragon fruit in the freezer section of many grocery and health food stores. Like the chia, it also boasts some great health benefits. Dragon fruit has many vitamins, minerals, fiber and antioxidants…and the color is so wow!! 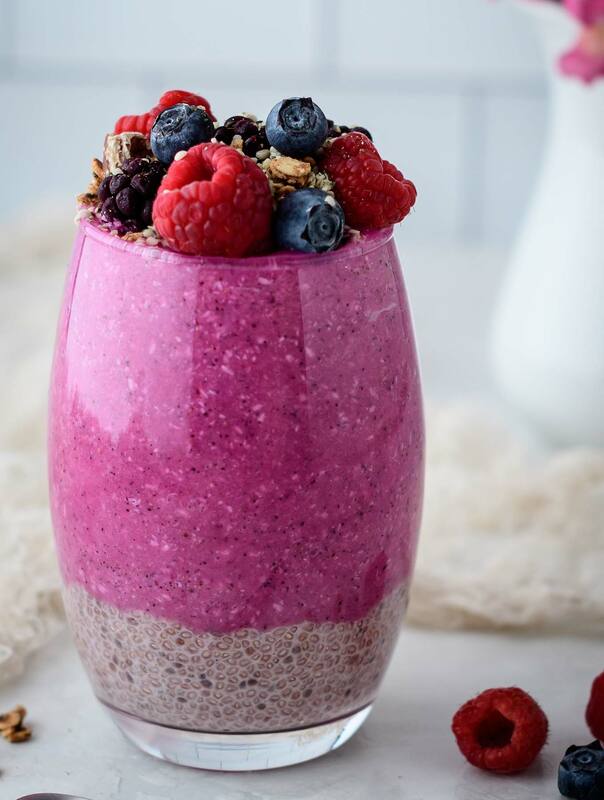 This smoothie can be layered with the chia or just enjoyed alone. 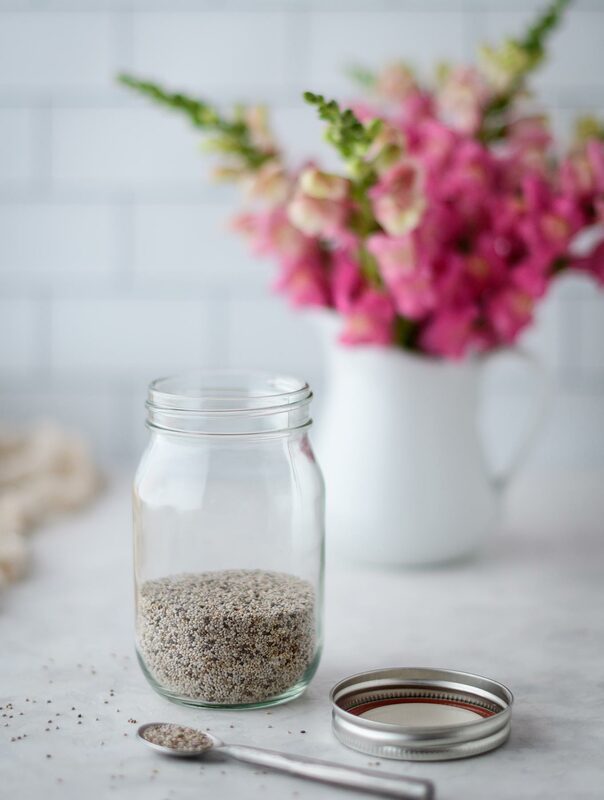 The chia pudding is great to have on hand for a healthy dessert, so make extra! 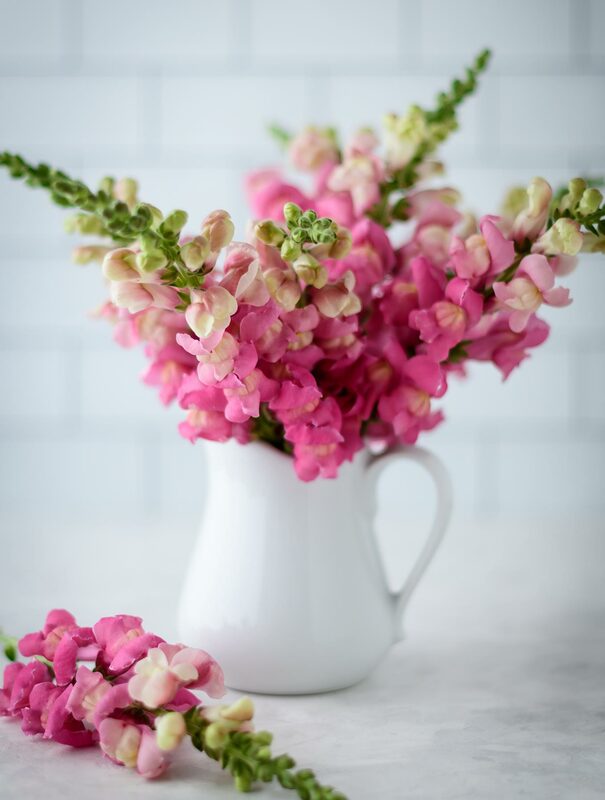 I’m ending this post with a beautiful vase of snap dragons, because flowers just make me happy. They make me think of spring, my favorite season that I’m dreaming about in the midst of several inches of snow.